A large seated Buddha from the Arakan in Burma, which is along the coastal region of present day Rakhine State. The Arakanese are one of the four Buddhist ethnic majority in Burma, they are believed to be the oldest branch of Buddhist tradition known as Theravada. The Theravadins maintained close liaison with Buddhist heritage in India, along with significant influences from the Mahayana through the centuries. 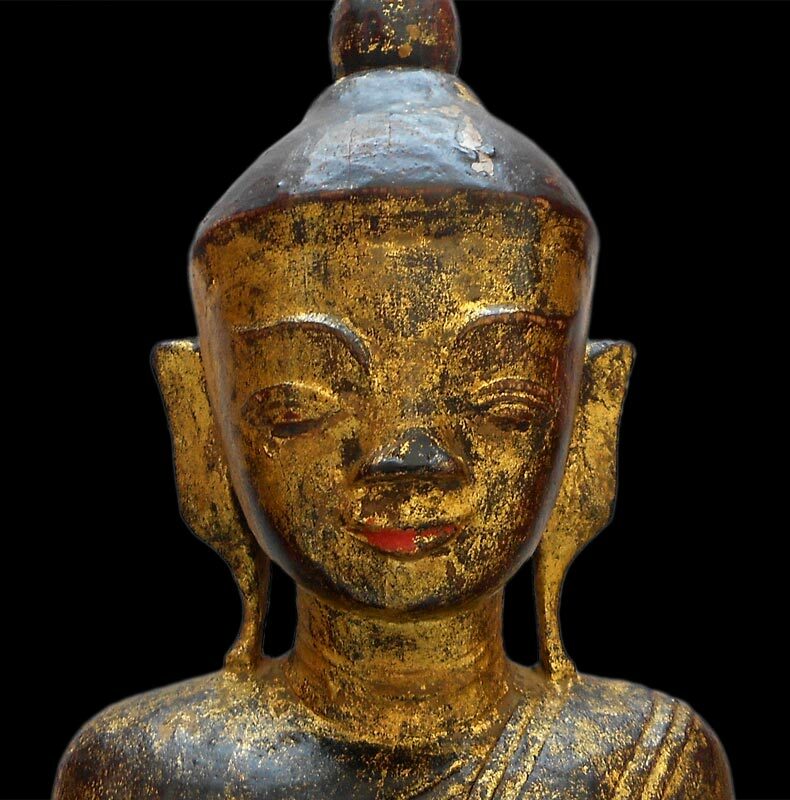 As shown in this Buddha in bhumisparsa meditation mudra, the facial features are characteristically Burmese. Although the stylized symmetry in the tall and slender figure showing both Thai and Sri Lanka influences. 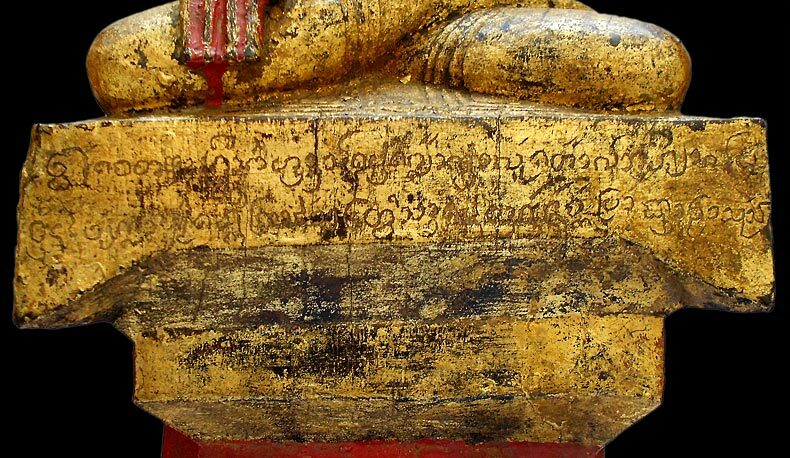 The statue is painted in black and red lacquers, beautifully gilded in gold, with Buddhist prayer inscribed on the cushion in front. Note that the statue is mounted on a metal plate for stability during exhibitions.